The Quebec government has given the City of Montreal permission to use the site of the former Blue Bonnets racetrack in Côte-des-Neiges—Notre-Dame-de-Grâce as a temporary snow-dumping site. The City of Montreal now has permission to use the site of the former Blue Bonnets racetrack in Côte-des-Neiges—Notre-Dame-de-Grâce as a temporary snow-dumping site. Quebec's Environment Ministry gave the green light after discussions with the city earlier this week. 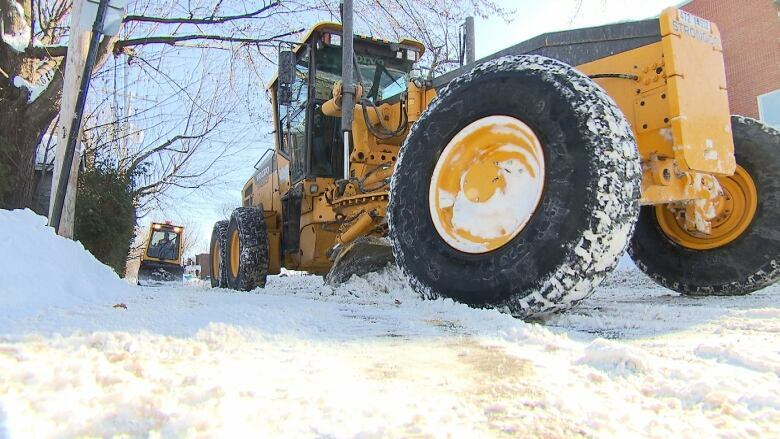 Jean-François Parenteau, Montreal's executive committee member responsible for snow removal, said last week, before the latest major snowfall, that the city has three snow dumps that are already full. He said at the time the city hoped for warmer weather, which would reduce the amount of snow that needs to be carted away. The Plante administration also unveiled measures recently to improve how snow and ice are cleared from city streets and sidewalks after the city was criticized for waiting too long to approve snow-removal operations.